I don't know, I have a thing for printed jeans. I don't own a single pair of them, but I always find them interesting and pretty. 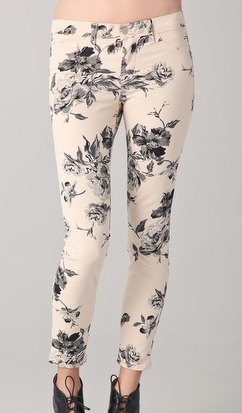 This season they seem to be trendy, which means they are easy to find and the shopping choices are great. The question remains: "Should I/you/we buy a pair?" 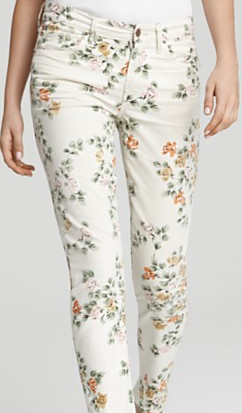 It looks like the price range for a decent pair of printed floral jeans is $200. 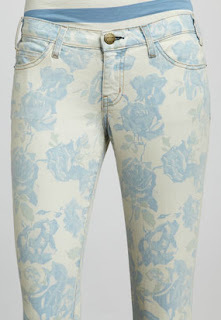 If they were cheaper it would be easier to justify buying them, but at $200 a pop, I need to think about it some more. In any case, I like the Current/Elliott best. Will you buy a pair this season?